The original Transporter trilogy with Jason Statham is a favorite of mine. It has some great fight choreography that was only possible because Statham is a skilled martial artist, so they could pull off single shots with lots of maneuvers. The car chases were fun, the comedy was spot-on, and Statham walked a perfect balance between charismatic and dangerous. That’s a lot to live up to, especially for relative newcomer Ed Skrein (Game of Thrones and the upcoming Deadpool). Can he fill those shoes? Skrein stars as Frank Martin Jr., the same character played by Statham. Martin is a skilled driver and rents out his services to anyone with the cash to pay for it. He follows a very strict set of rules when he drives and things go a bit sideways when he drives for a strange woman (Loan Chabanol) and his father (Ray Stevenson) gets kidnapped. 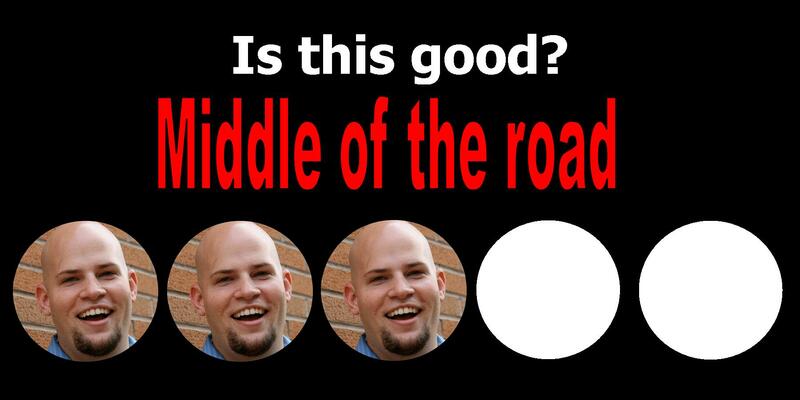 Martin must use his creative fighting skills and impeccable driving to somehow save the day. This is a fun movie, that’s probably the highest compliment I can give it. You can sit back and enjoy for an hour and a half. The fight scenes are inventive, including one where Frank ghost rides the whip. There’s really only one big car chase scene that’s really memorable but it hits all the right notes that you’d expect. 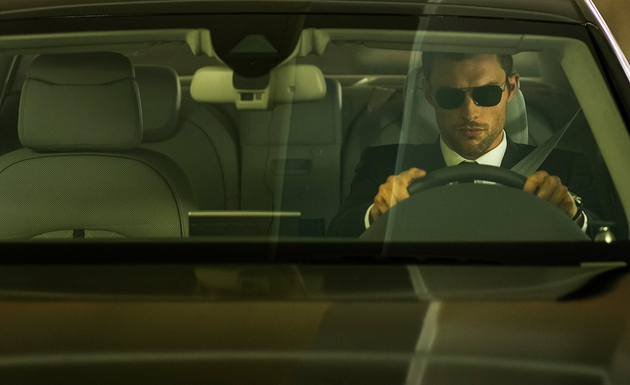 Skrein does a decent job in the role, definitely nailing the badass part but falling a little short on the charisma. Statham was able to deliver witty one-liners with a wink in the middle of fight scenes, Skrein just doesn’t seem to show that side. I’m hoping he can show a little more comedy in Deadpool. While the movie is enjoyable on a very basic level, it’s also very forgettable. It almost seems like a straight-to-DVD version of The Transporter, like how The Scorpion King keeps getting sequels starring different ex-wrestlers and MMA fighters. It’s not bad, it just fails to capture the magic of the original. The biggest difference is the quality of the fight choreography. While Statham was able to pull off lengthy takes involving a lot of different moves, Skrein gets the quick-cut treatment, meaning you hardly feel the weight of any of the fights, as it’s too fast and flashy and feels like Skrein could only learn a move at a time. It was distracting and frankly disappointing. Like other movies in this genre, we get a female lead that is mysterious and presumably dangerous. The French-born Loan Chabanol fails to really fill this role, especially after seeing it done incredibly well in Mission: Impossible Rogue Nation earlier this summer. She lacks chemistry with Skrein and is overall uninteresting to watch. Storywise, the movie is fairly cliche and predictable. The only weird thing is that Frank Martin Senior (Ray Stevenson) gets kidnapped twice in the movie. I got a weird sense of deja vu. Sloppy storytelling. 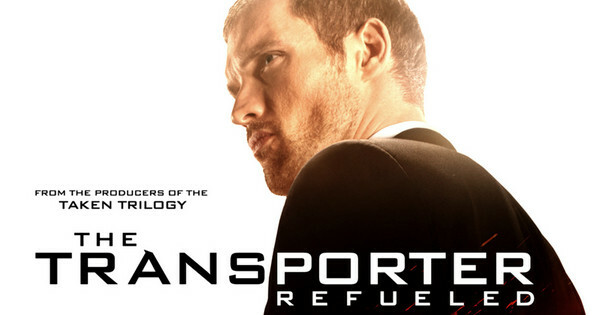 The Transporter: Refueled isn’t a stellar movie but it’s a safe bet if you just want some entertainment. It does a decent job of fitting into the car chase and cool fight scene genre but it doesn’t do anything exceptionally well. The fight choreography is inventive but sloppily shot and generally unsatisfying. I wouldn’t go to the theaters for this but when it eventually hits Netflix, you’ll likely have a good time. This entry was posted in Movies and tagged action, action movies, adam ryen daniels, ed skrein, i am your target demographic, iaytd, jason statham, loan chabanol, movie review, movie reviews, movies, ray stevenson, transporter, transporter refueled. Bookmark the permalink.